UPDATE: Ofcom orders BT to share infrastructure for super-fast broadband | What Hi-Fi? BT today welcomed the decision by Ofcom to lay down rules ensuring BT shares its network of telegraph poles and underground ducts with rival suppliers. 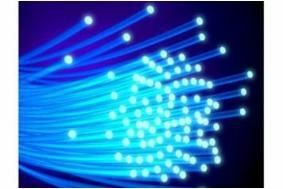 Ofcom hopes this will help promote competition and investment in broadband services, accelerating the rate at which super-fast broadband is adopted. BT will be able to set wholesale fees for access to its fibre and physical network, allowing rivals to lay fibre optic cables using BT's ducts. Ofcom said: "Ofcom believes that competition and investment in super-fast broadband can be delivered in both urban and rural areas. Today's statement is designed to provide a further spur to investment by confirming the regulatory framework for these services." Ofcom has unveiled new proposals that it hopes will see more consumers enjoying superfast broadband speeds of 50 to 100Mb per second. As we reported yesterday, Virgin Media is currently trialling 200Mb broadband in preperation of a future where multiple devices need superfast connections in order to stream or download high quality content. Now Ofcom wants BT to let rival firms use the company's fibre optic lines, capable of delivering such high speeds, in order to stimulate growth and competition in the market. BT would be able to set prices on the use of these lines in order to make a return on the company's initial investment. The regulator hopes that this would allow other communications providers to build their own fibre networks more cost-effectively. Ofcom also set out for the first time yesterday what it regards as the lowest speed that would merit the 'superfast' name. Ed Richards, the chief executive, said: "Any connection speed above 24 megabits per second means that there is fibre in the access network, and that's what we would class as 'superfast'." The average broadband-connected UK household gets 4.1Mbps, though conventional systems can manage up to 8Mbps – and BT is rolling out services able to provide speeds of up to 24Mbps using the existing copper lines. BT recently launched its first high-speed product, BT Infinity, offering 40Mbps speeds, with the aim of reaching 40% of UK homes by 2012.